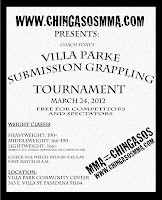 Pasadena Submission Grappling Tournament March 24 | MMA Fighting Events Videos Techniques UFC Fight Picks and News. 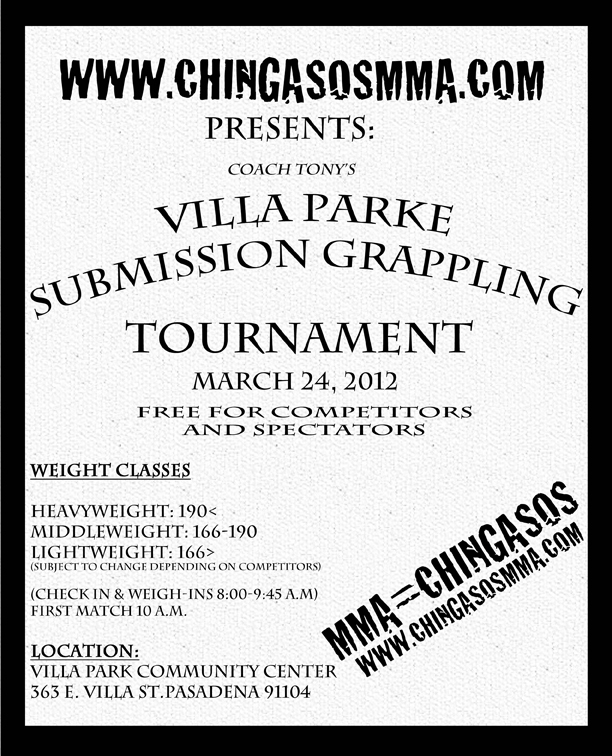 As it stands, Coach Tony's Villa Parke Submission Grappling Tournament will feature three weight classes, lightweight, middleweight and heavyweight. This will be subject to change depending on the number of competitors. Our tournament organizer will do his best to make sure the brackets are even. We will also open up a women's division if there is enough interest. Weigh ins and registration will be from 8:00 a.m. to 9:45 a.m. Matches will begin at 10:00. **Again, these weight classes are subject to change depending on the number of competitors. We well do our best to match up the brackets evenly. Rules are inspired by Gokor submission grappling tournament rules and are designed to push the action. There will be NO points awarded. Competitor wins by submission or opponent disqualification. There will be an overtime, in the case of no winner. Two minute round with points awarded. Competitor wins by submission, points, or opponent disqualification (two fouls or referee's discretion). There will be a second overtime, in the case a tie. Includes top mount, side mount, north-south position, or the back with hooks. Includes going from a disadvantaged position to a neutral position such as guard, on knees, standing, etc. Includes going directly from a disadvantaged position to a position of advantage (see above). Sudden Death. Competitor wins by first takedown (which in this case includes pulling guard by opponent), submission, or opponent disqualification (two fouls or referee's discretion). Strikes of any kind to any part of the body, include elbow, forearm, and knee strikes, and head butting. Pushing palm or elbow directly into the nose. 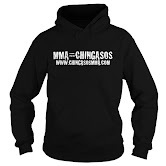 Attacking an opponent before or after the fight, during a rest period or when being attended by medic or any other official.